NWA 8276, classified as an L3.00 ordinary chondrite, represents a unique discovery — a meteorite without thermal alteration since it first formed. 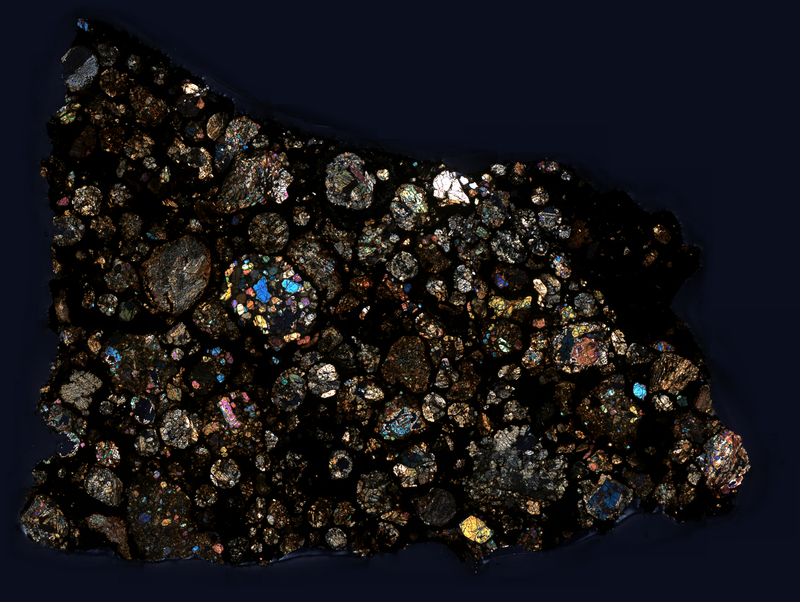 This fascinating chondrite is displayed here in cross polarized light. To view the meteorite’s interior, visit Meteorites USA. Additionally, John Kashuba took several great photos of NWA 8276 for Meteorite Times.